If you’re looking for a solid place to hold your retirement savings, a Roth IRA might just be the thing. Roth IRAs provide a great way to save for retirement. The money you contribute to the account is able to grow tax-free and you have flexibility with how you manage your money. If you’ve decided that you’re ready, let’s walk through how to open a Roth IRA. Jump-start your retirement savings with the help of a financial advisor. A Roth IRA is an individual retirement account that you fund with after-tax dollars. Because you’ve already paid income taxes on your contributions, there is no immediate tax benefit. However, this set up allows you to also make tax-free withdrawals. Plus, your money grows in the account tax-free as well. These accounts are the opposite of tax-deferred accounts like 401(k)s and traditional IRAs. 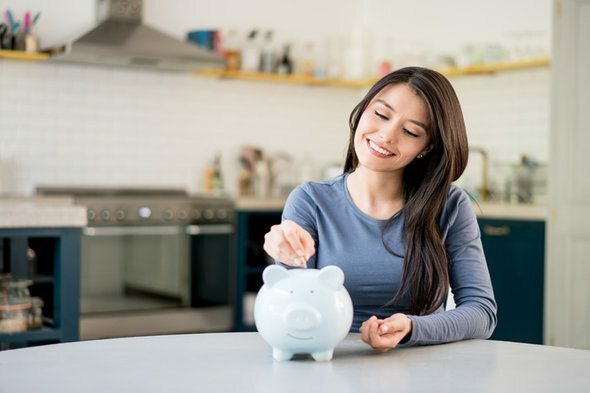 Before you jump into the process of opening any kind of savings account, you’ll want to make sure it’s the right one for you. Even when it comes to IRAs, you should weigh the differences between Roth IRAs and traditional IRAs. Doing your research will come in handy, especially since not everyone can contribute to a Roth IRA. For one, your eligibility will depend on your income. Also note that Roth IRAs come with specific rules and yearly contribution limits. If you’re under the age of 50, you can contribute up to $5,500 per year and up to $6,500 if you’re 50 or over. 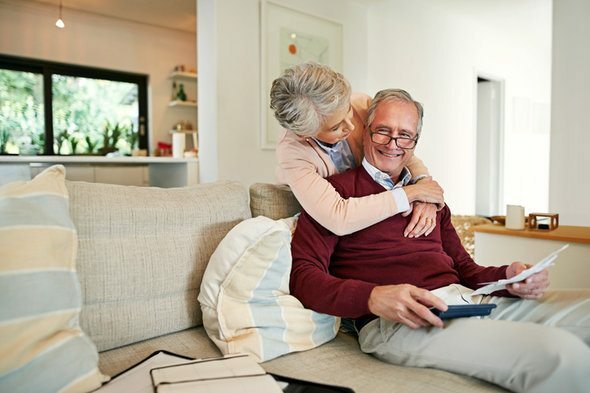 Unlike other retirement accounts, you can withdraw from your Roth IRA at any time with no penalty. You can only withdraw what you contributed, though, rather than anything the account has earned. That makes a Roth IRA well-suited for non-retirement funds, too. For example, you might use a Roth IRA to save for a big expense like college or the down payment on a house. You’ve decided that a Roth IRA is the right choice for you. The next step is deciding where to open your account. Many financial institutions offer Roth IRAs, so you have a ton of options from small credit unions to international brokerages. The institution you choose will depend on personal preference, but there are certain factors that you’ll want to keep an eye out for when making your decision. First off, you’ll want to look for a provider with low account fees. Some plans may charge an annual fee just for having an account, while others can have hidden fees for certain transactions. However, there are a ton of options that won’t cost you your savings. You should also look for Roth IRA providers that offer a large selection of low-cost funds. In particular, look for mutual funds with no transaction fee and commission-free ETFs. Sometimes, you may even find accounts that offer bonuses at signing. While this is certainly an added perk, a bonus shouldn’t be the deciding factor. Institutions may require a minimum contribution in order to open an account. For example, some places require $25 to open an account while others can require $500 or more. There may also be minimum contributions that you have to make each month or year. Neither of these is necessarily bad. Just make sure you can actually afford to open a Roth IRA wherever you go. If you’re an investing beginner, you may want to look for an IRA provider with learning materials or well-reviewed customer service who can help you with the process. An important consideration when looking at Roth IRA providers is how hands-on you want to be with your investments. Some people want to make every decision about their funds while others prefer the set-it-and-forget-it approach. If you want to go the set-it-and-forget-it route, you could opt to work with a robo-advisor. Robo-advisors invest your money in a diversified portfolio (likely using ETFs) based on your goals and risk tolerance. Robo-advisors set your investments and continue to manage and rebalance your accounts over time, leaving you to participate as much as you’d like. The trade-off is that you have to pay a management fee for a robo-advisor’s services. Usually you’ll pay a fee of about 0.25% of the assets being managed. There are some, however, who charge a small monthly fee regardless of your assets. Another option for hands-off investors is a target-date fund. This is a mutual fund that you pick based on your intended retirement date. A fund manager fills the fund with a mix of stocks, bonds and other assets, with the mix becoming more conservative as you get closer to your target date. Keep in mind that every fund manager will have their own investing strategy, with some more risky than others. Target-date funds also tend to come with varying fees (that can get quite high). So what’s with all these fees? Well if you want someone to manage your investments for you, it’s going to cost you. To avoid these fees, you’ll have to manage your own investments which at least gives you the freedom to invest however you want. If you go this route, you’ll have to consider your specific goals. For one, do you want to trade individual stocks? If so, you’ll have to find an IRA provider that will allow you do to so. Additionally, if a specific cause is very important to you, look for brokers that offer theme-based investing. For example, a broker might let you invest only in companies that promote gender equality in the workplace. Always look for brokers with low commissions, too. Once you’ve picked an IRA provider, you can go ahead and open your account. This is the easy part. Nowadays, creating an account is often as simple as going to a company’s website and following the prompts. Some institutions, like small banks and credit unions, may not have this offering, though. In that case, you can visit a local branch to open your account or find a provider who does have an online application. Whether online or in person, you will need to provide personal information to open an account. This includes your marital status, Social Security number, employment information and bank account information (for transferring funds). Once your account is open, you can begin funding it, which is just as simple. Providing your bank account information allows for easy transfer between accounts. As an ACH payment, it could take a few days for funds to transfer. Keep in mind that some small or local institutions do require you to transfer money in person or over the phone. How frequently you contribute to your Roth IRA will partially depend on where you open your account. Some institutions require a minimum monthly contribution, but luckily you can usually automate those payments. Even if you don’t have to contribute each month, it’s a good idea to contribute regularly. 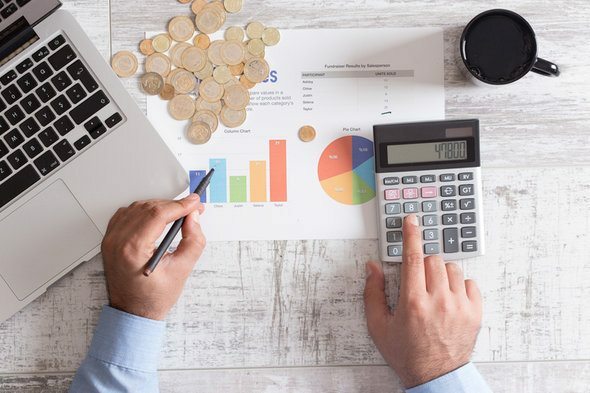 As mentioned above, Roth IRAs have a a maximum annual contribution of $5,500 per year for investors under 50 and $6,500 for those 50 or over. Remember that this maximum applies to all IRAs. If you have a traditional IRA and a Roth IRA, your combined contribution can’t go over the maximum in each year. Make sure to also contribute money under the correct tax year. The deadline to contribute to a Roth IRA is usually April 15 of the next year (though it’s sometimes a couple of days later due to weekends and holidays). So if you want to contribute to your account this year, but don’t do it by December 31, you’ll still have a couple of months – just make sure to specify that your contribution is part of the previous tax year. At this point in the Roth IRA process, you’ve created an account and put some money into it. Many people don’t even get this far so you should congratulate yourself for getting here! There’s just one more big thing to do. You need to decide what investment options you want in your Roth IRA. Investing is what allows you to really build wealth. If you opened your account with a robo-advisor, you don’t have to do much. Just answer a few questions about your current assets, your retirement timeline and your risk tolerance. The robo-advisor will then create a diversified portfolio to invest your money in. The exact asset allocation of your portfolio (the mix of stocks, bonds, etc.) will depend on your risk tolerance, your goals and how close you are to reaching your goals. If you chose to manage your own investments, the safest thing to do is build your portfolio out of index funds and ETFs. Index funds mirror an overall market index (like the S&P 500) and offer instant diversification. ETFs are traded like individual stocks, but they consist of multiple stocks. You can also minimize your risk by investing in bonds or bond funds. If you are willing to take on more risk, you can try investing in stocks. Some stocks are safer than others, but stocks in general tend to be risky and volatile. Choosing individual stocks can be difficult for many people, especially beginners, even though they can provide a high return. Because of this high risk, your best bet would probably be to start with index funds, mutual funds and ETFs. Regardless of the exact assets that you invest in, your goal should be to create a diversified portfolio. A good example of what you don’t want to do is invest all of your money in stock from one company. You also don’t want to invest all of your money in one industry (e.g. oil companies) or in one market (e.g. an emerging market ETF). This prevents your entire portfolio from failing should one industry or market fail. Keeping a good mix will keep your portfolio balanced and generally safe. Unsure of how much risk you want to take on? Usually, younger investors are able to take on riskier investments. That way even if you lose money temporarily or if the market drops, you have time to weather the storm and rebuild before you hit retirement. On the other hand, you’ll more likely want to play it safe the closer you get to retirement. You don’t want to save for decades and then lose it all a year before you retire due to risky practices. Despite being a crucial part of life, many Americans don’t have enough saved for retirement. Getting started sooner than later, by researching IRAs and the like, is certainly a step in the right direction. As you move forward, make sure to keep your goals in mind and look for Roth IRA providers that align with your goals. Avoid fees as much as possible to ensure you maximize your savings. If you’re not sure where to get start or you’re worried about staying on track with your retirement savings, work with a financial advisor. According to industry experts, people who work with a financial advisor are twice as likely to be on track to meet their retirement goals. A matching tool like SmartAsset’s SmartAdvisor can help you find a person to work with to meet your needs. First you’ll answer a series of questions about your situation and goals. Then the program will narrow down your options from thousands of advisors to up to three registered investment advisors who suit your needs. You can then read their profiles to learn more about them, interview them on the phone or in person and choose who to work with in the future. This allows you to find a good fit while the program does much of the hard work for you. If you already have a retirement account and you’re thinking of converting to a Roth IRA, this article will help you. Roth IRAs earn the most if you start young and add to them consistently for decades. That’s why millennials can benefit from Roth IRAs. Thinking about a target-date fund for your investments? Here are some pros and cons of target-date funds for retirement. Managing your own investments? Here’s a simple asset allocation calculator to help you get started. ETFs and mutual funds are both great choices, but they do have small costs associated with them. Especially if you’re on a budget, here is a quick rundown of ETFs vs mutual funds.